Tuesday, Feb. 5, 1 p.m. - 5 p.m. and Tues., Feb 12, 1 p.m. - 5 p.m.
Every 11 seconds an older adult is treated in the ER for a fall. As a Matter of Balance Coach, you can help prevent older adults in Harrisonburg and Rockingham County from becoming a statistic. A Matter of Balance (MOB) addresses the fear of falling that many older adults experience. People who develop this fear often limit their activities, which can result in physical weakness, making the risk of falling even greater. 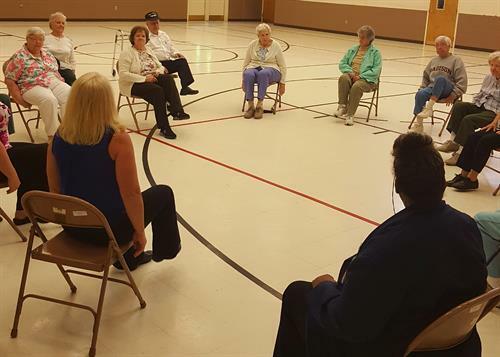 This program is designed to reduce the fear of falling and increase activity levels among older adults. What kind of coach are we looking for? Willingness to lead a small group. Interest in working with older adults. Life experiences valued- with education or health care experience a plus. Ability to perform range of motion and low-level endurance exercises. Ability to carry up to 20 lbs. 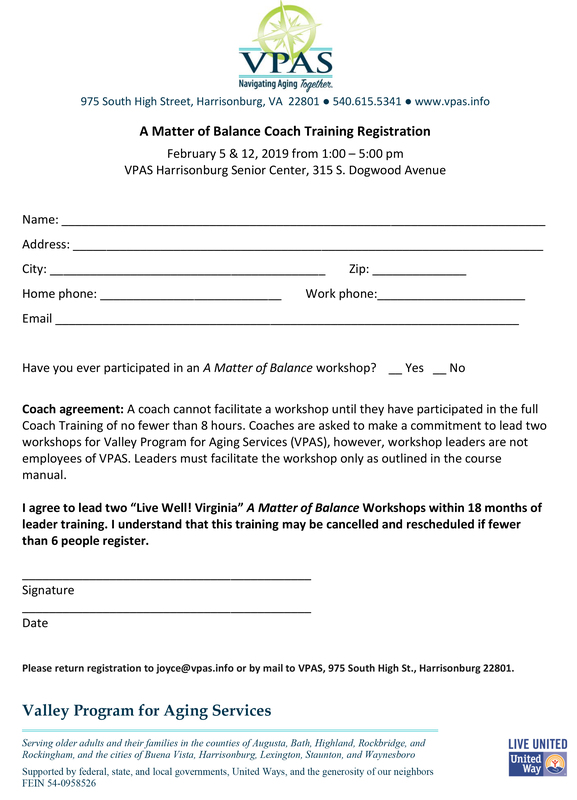 Coaches are asked to make a commitment to lead two workshops for Valley Program for Aging Services (VPAS). Training coming up on Feb. 5 and 12. Register today by contacting Joyce or call (540) 615-5341.